Microsuction is by far the most effective method of earwax removal. Tradionally only performed in ENT clinics due to the size and weight of the equipment, it can now be performed by appropriately trained individuals in smaller clinics due to portable suction pumps and operating microscopes that are now available. Micro suction is made up of two words: "Micro" refers to the operating microscopes that can either be large floor standing units, or can be incorporated into glasses, in whch case they are known as operating loupes. "Suction" refers to the medical suction pump that is attached to a tube and a 2 millimetre suction wand, which is used to suction the wax from your ear. Micro suction requires a good knowledge of the anatomy of the ear, along with training in how to safely use the equipment. For this reason, microsuction is performed by ENT surgeons and Audiologists, who both specialise in the ear, and by specialist nurses who have had further training. Micro suction only removes wax from the ear - because it doesn't spray water into the ear it is safe to use after ear surgery, or when the eardrum is perforated. The Micro Suction Practitioner uses a powerful operating microscope and a bright light source, so he or she can see exactly what is happening inside your ear, so the procedure is the safest of all. People looking for private earwax removal normally opt for microsuction because it is so much safer than syringing or irrigation. 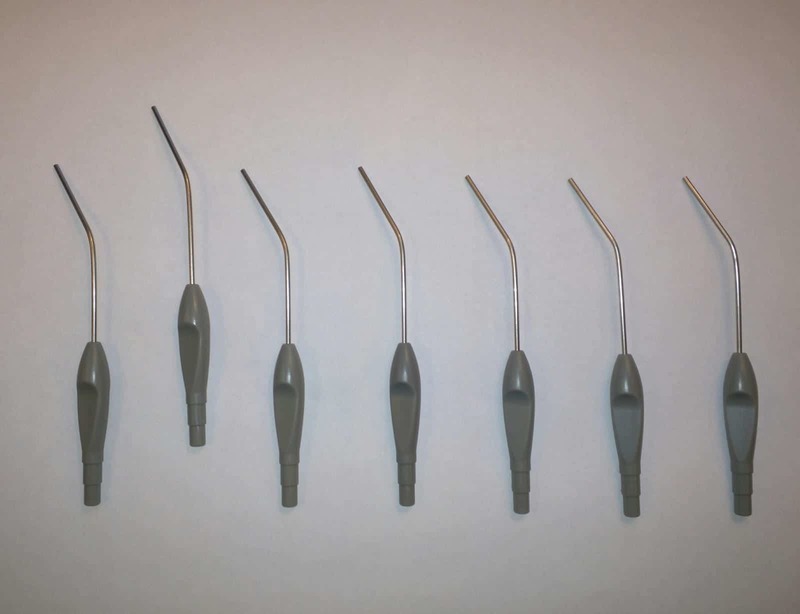 We have an entire page on endoscopic ear wax removal here. "Ear vacuums" can be bought online, and many people feel that they are effective. However, look into their ear after using one (you'll need an otoscope to do that! ), and you'll see that the wax is still there, and may have been pushed a little further down the ear canal. Often the ear vacuum will have some wax on the end, but that is not due to the vacuum itself. Rather, it is merely due to mechanical contact with the wax, the same way that a cotton bud will pick up some wax, but push more in than it gets out. Anything thay is strong enough to suction wax from the ear would need to be a medical device adapted for the purpose, and be operated by a trained professional to ensure that it is done safely. You can be assured that a product that is available online for under £10 will not be strong enough, and furthermore will not be a medical device adapted for suction of wax from the ear! Ear candles are an alternative therapy that can potentially cause sever e injury to the ear. The Hopi indian tribe strongly deny ever having invented such a thing. Ear candles are made up of wax and paper that is rolled into a cone that is thinner at one end. The wide end is placed into the ear canal and the thin end is lit. A flame burns at the end of the candle. There have been incidents reported in ENT literature of hot candle wax dropping onto the ear drum, immediately destroying the ear drum and causing permanent hearing loss. Even though this is quite rare, it isn't a risk worth taking. Investigations have been carried out into whether ear candles remove any ear wax at all. Ear candling practitioners proudly cut open ear candles to show their clients how much wax has been removed. However, when measured the amount of updraught created by the candle is insufficient to remove ear wax, especially when it is working against gravity. When filmed over a clear glass, you can actually see a stream of wax and soot coming downwards from the bottom of the candle and coating the bottom of the glass. If that was in your ear, it would be coating your eardrum. If the updraught isn't enough to lift tiny soot particles, it certainly isn't enough to lift lumps of ear wax. So, if the lumps in the ear candles aren't earwax, what are they? It turns out that they are composed of burnt candle wax and paper, exactly what you would expect if you lit a candle made from wax and paper! There are many methods of ear wax removal. The safest ear drops are olive oil, and the best are Earol spray (also made of olive oil). The best professional method of ear wax removal is micro suction, due to its high level of safety. It may cost slightly more than other methods, but it is worth it as, after all, you only have one pair of ears!